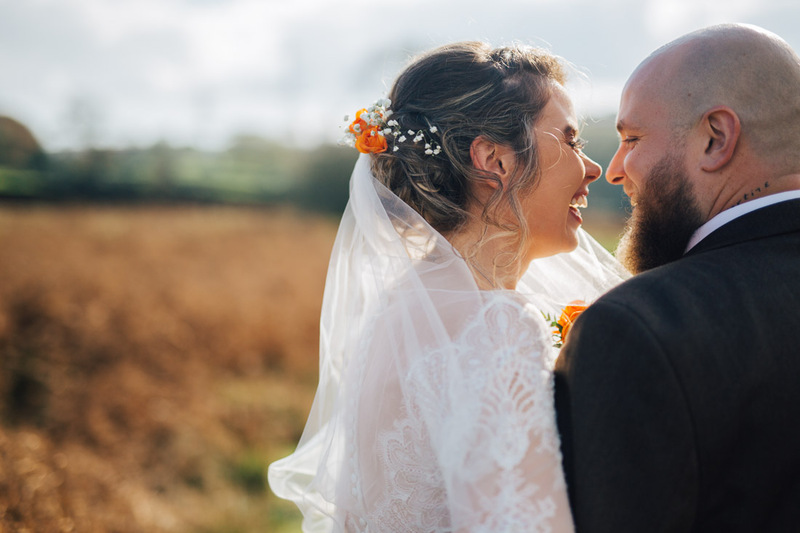 Chloe and Darren are quite possibly the most laid back couple I have had the pleasure of photographing. 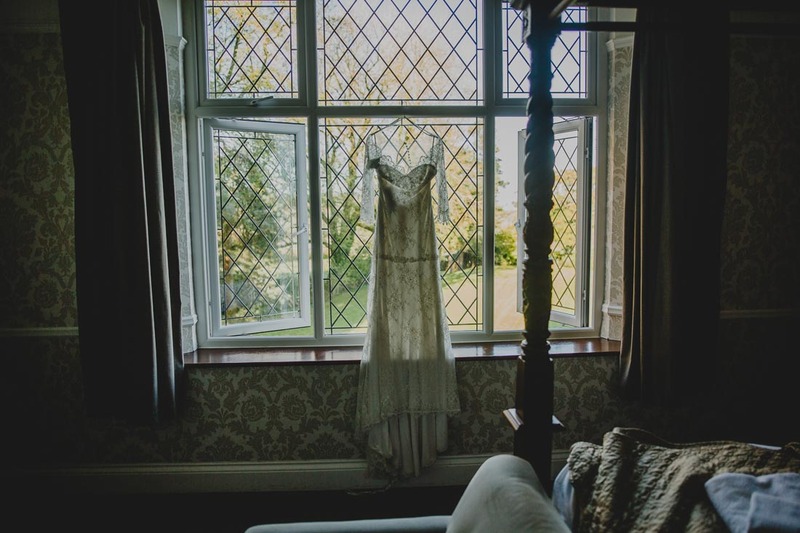 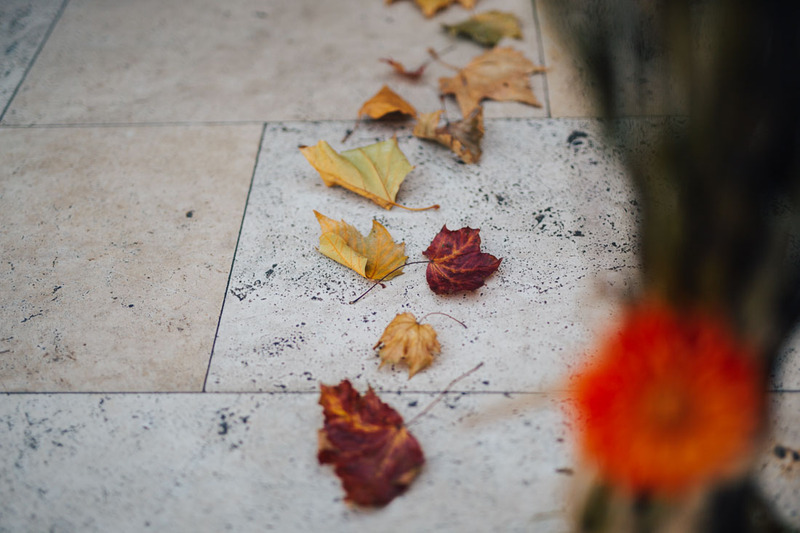 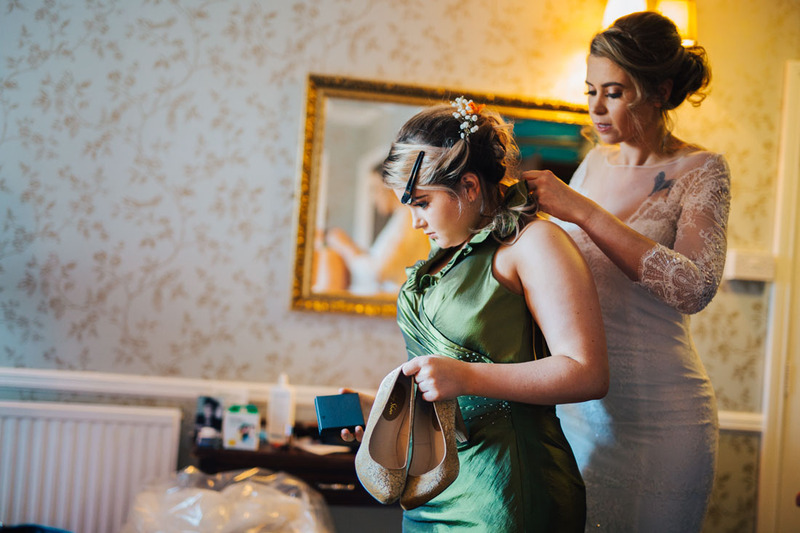 The morning at Llechwen Hall was spent relaxing getting ready with family and friends. 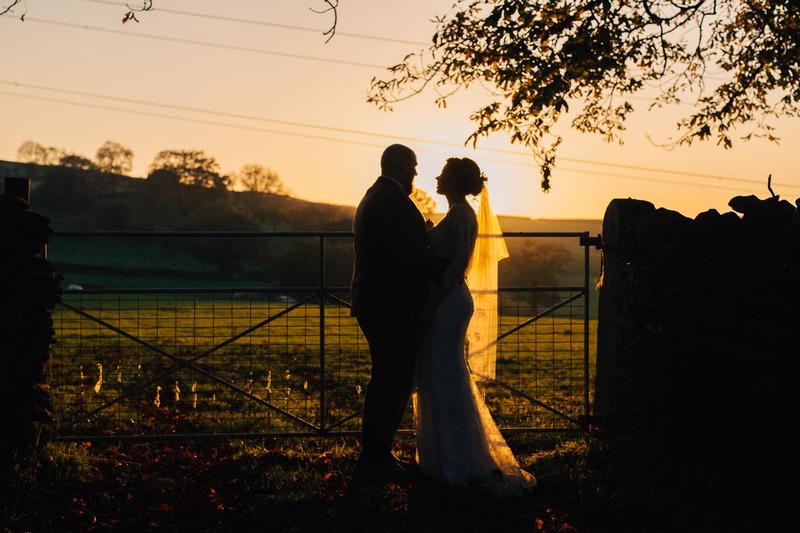 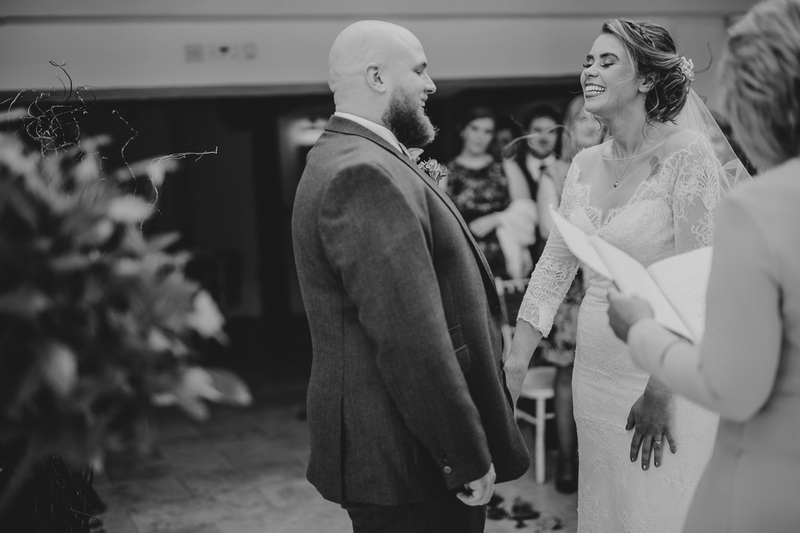 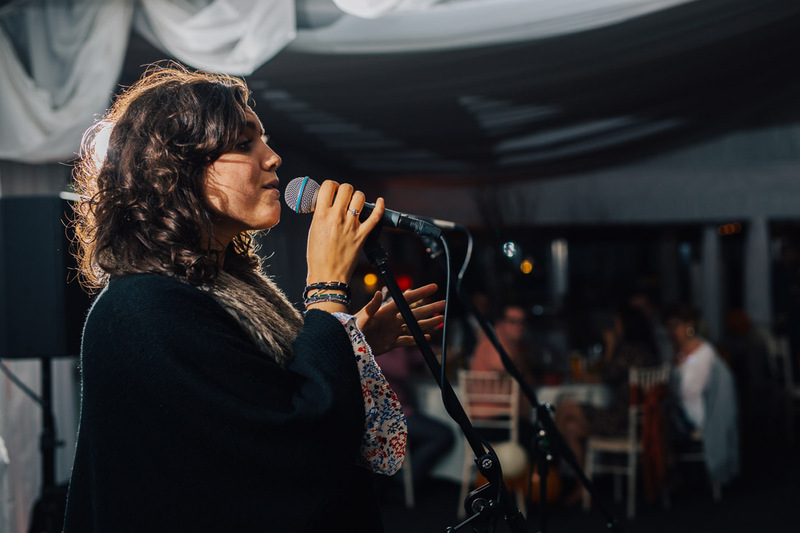 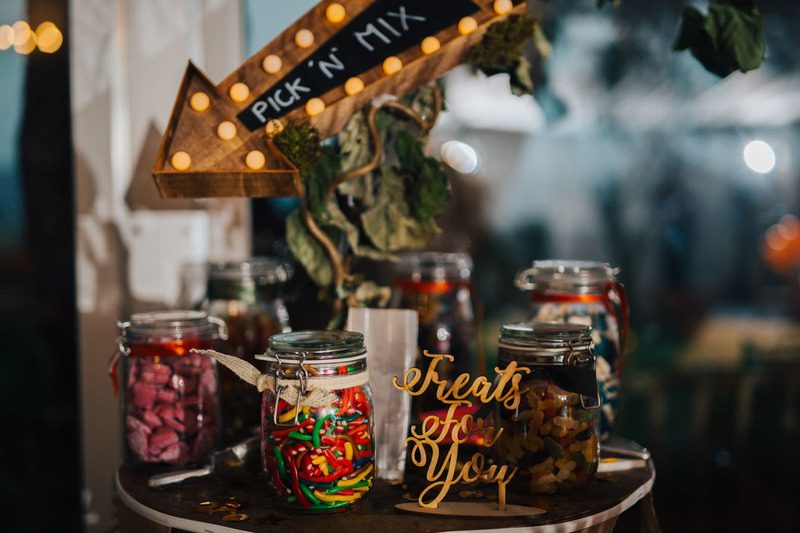 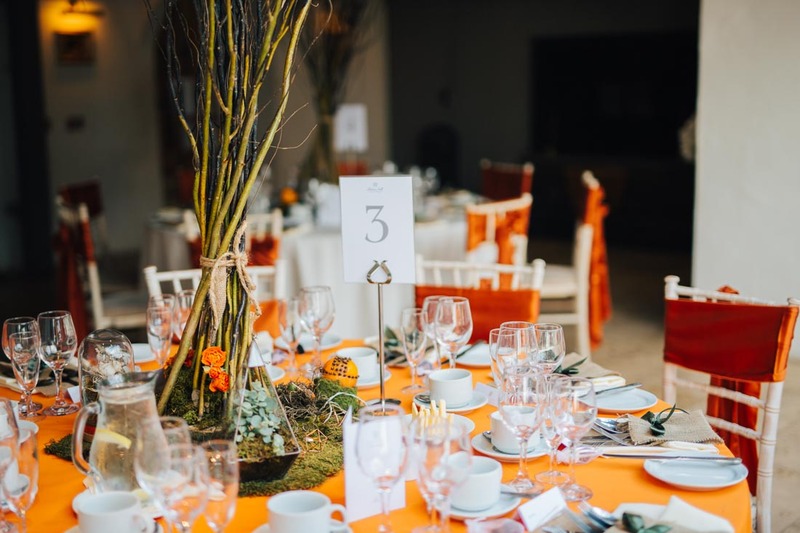 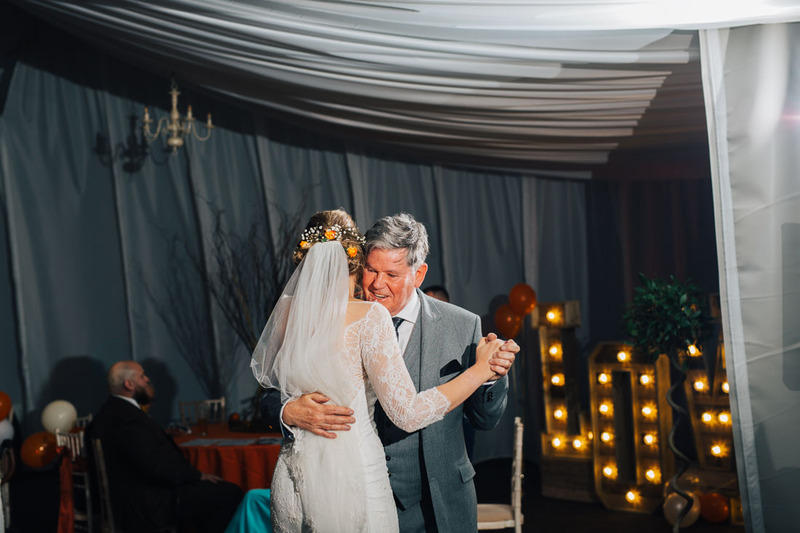 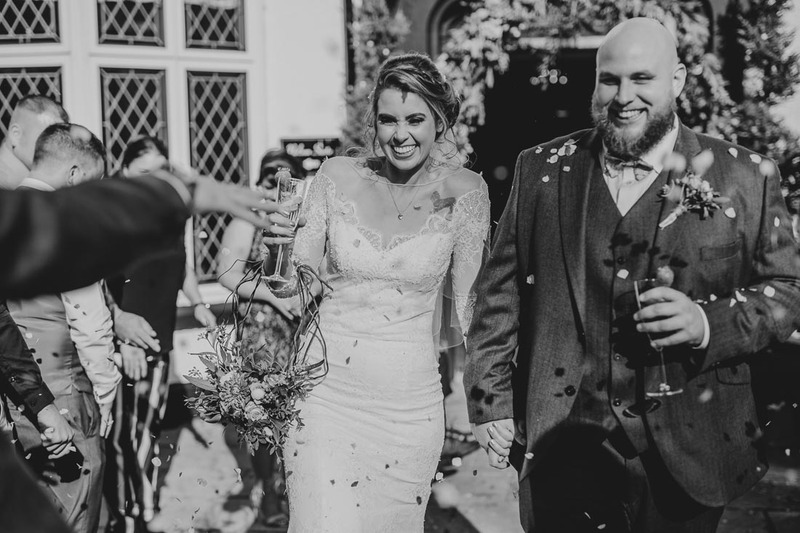 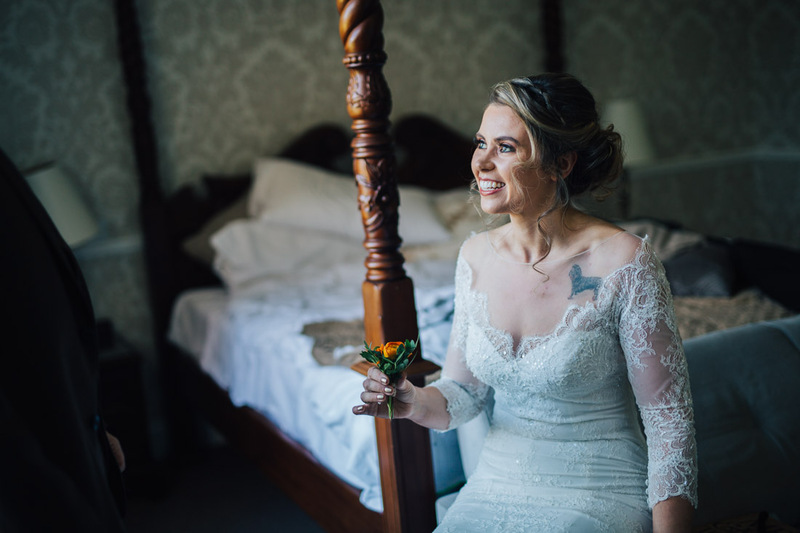 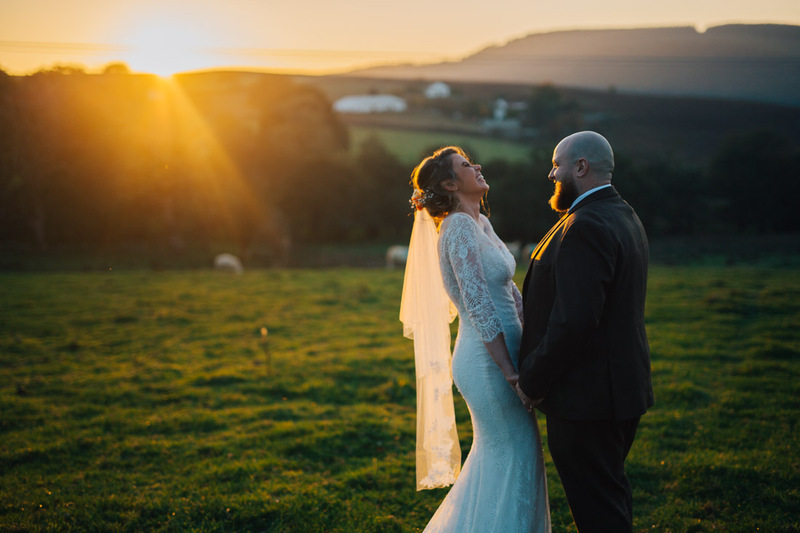 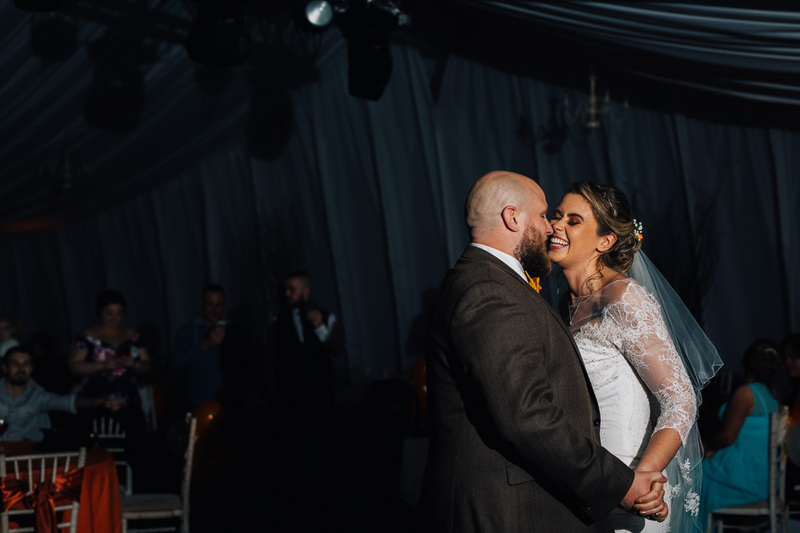 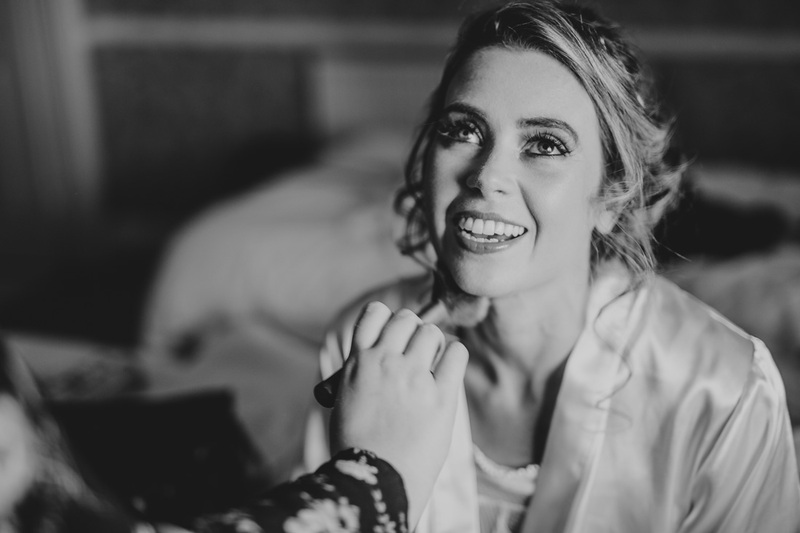 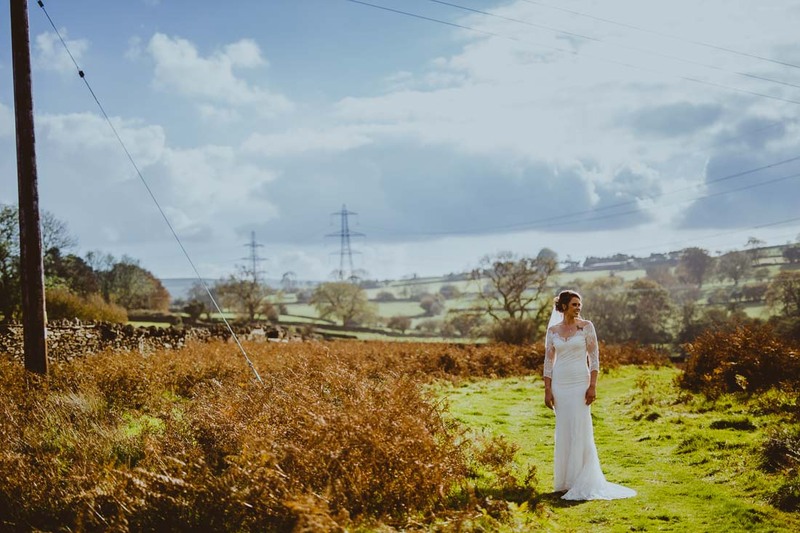 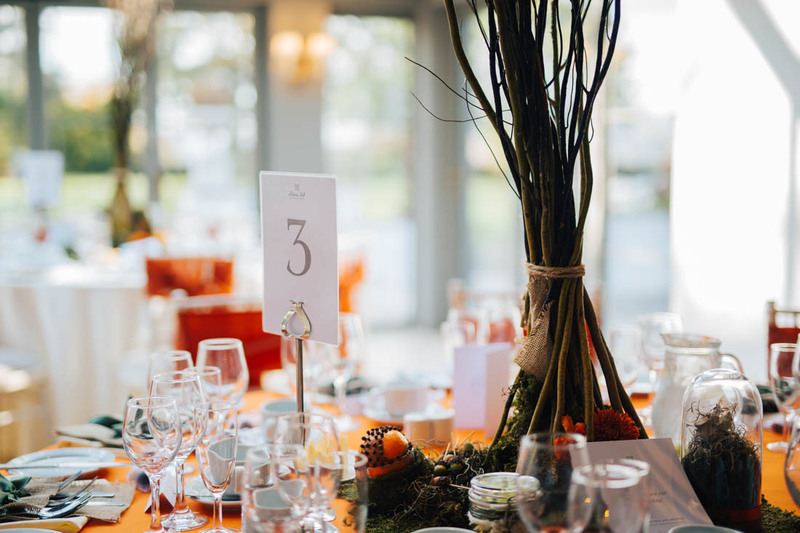 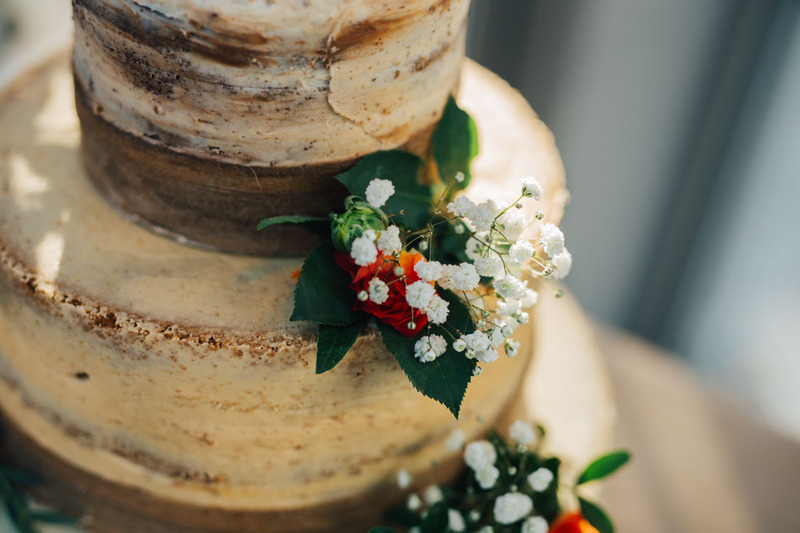 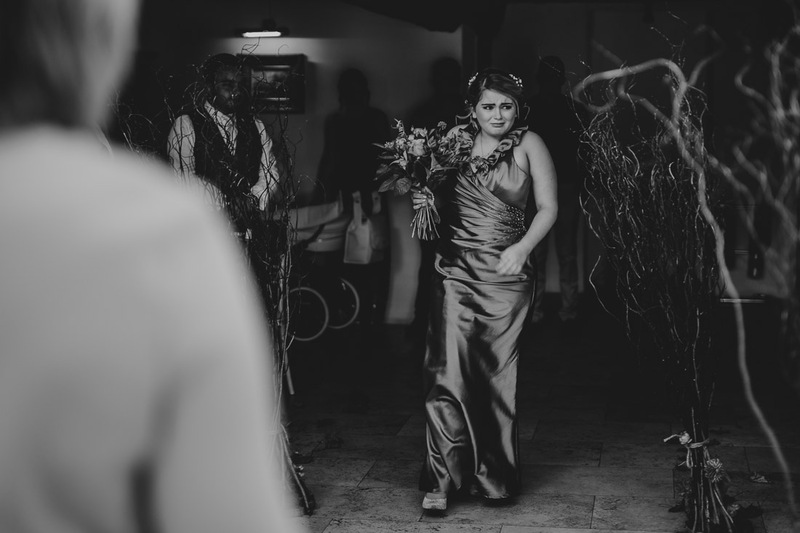 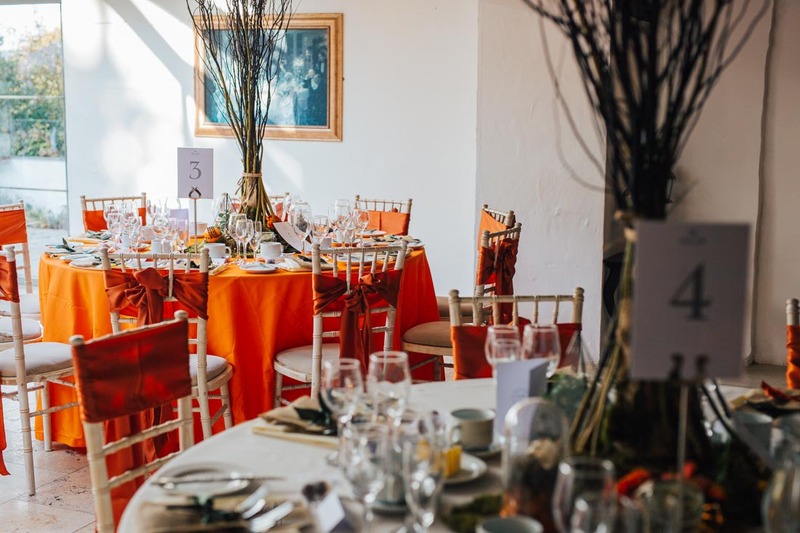 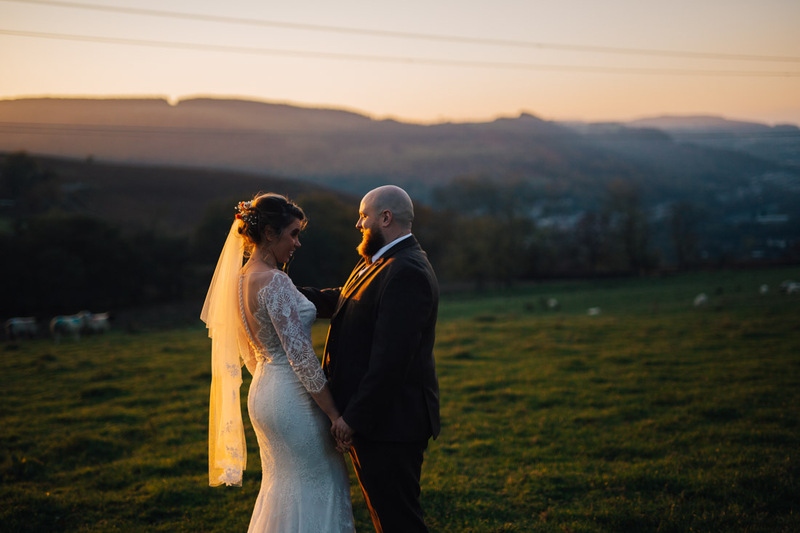 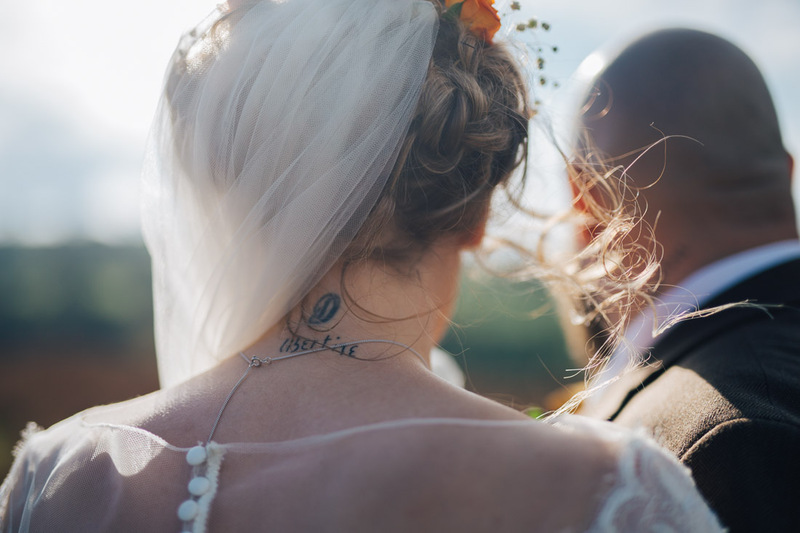 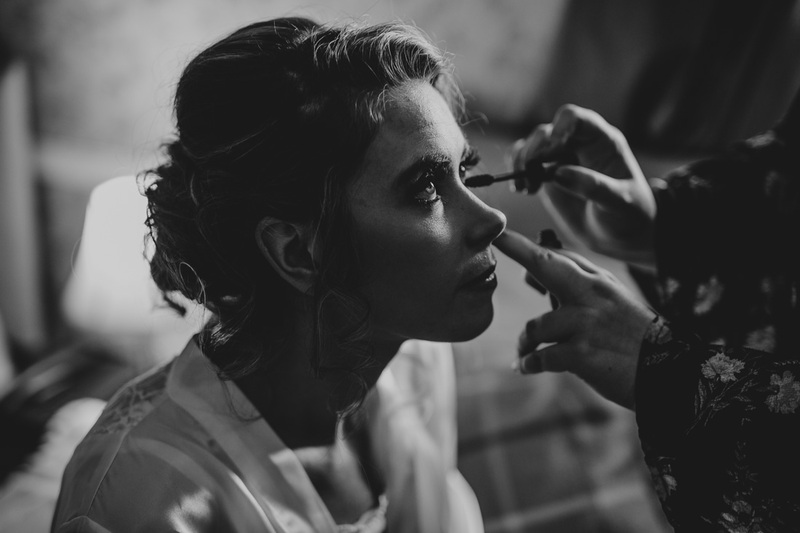 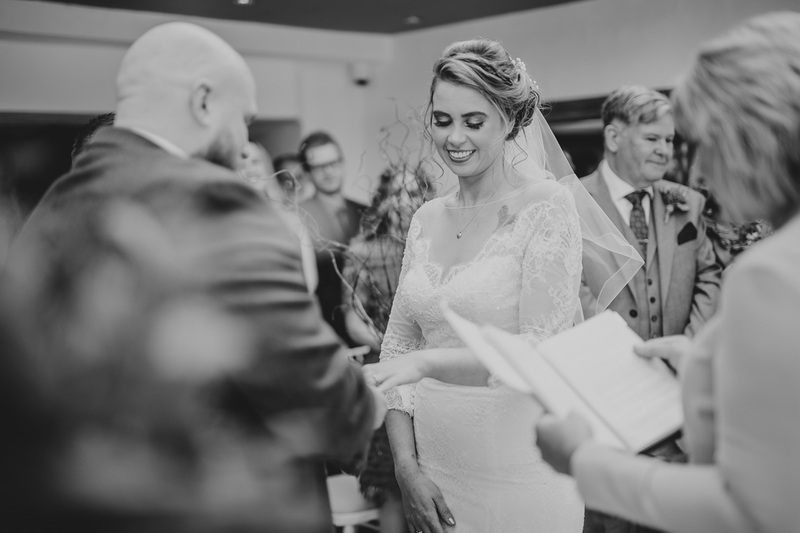 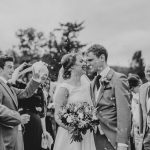 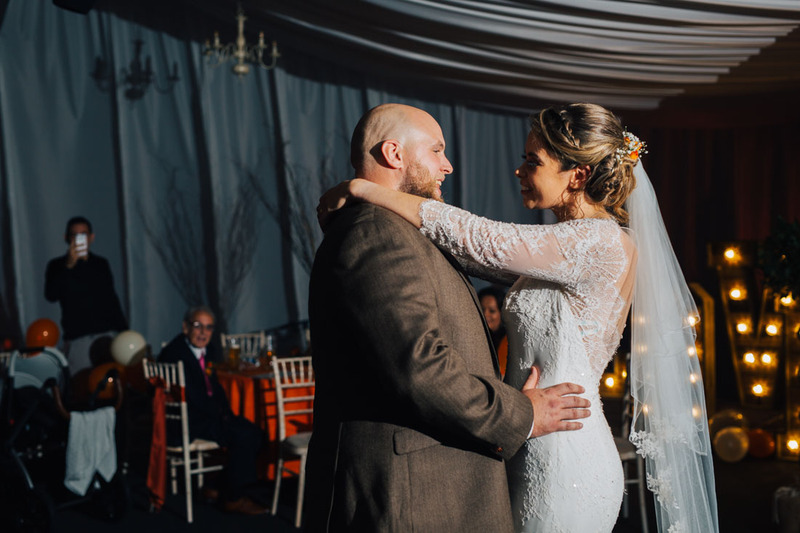 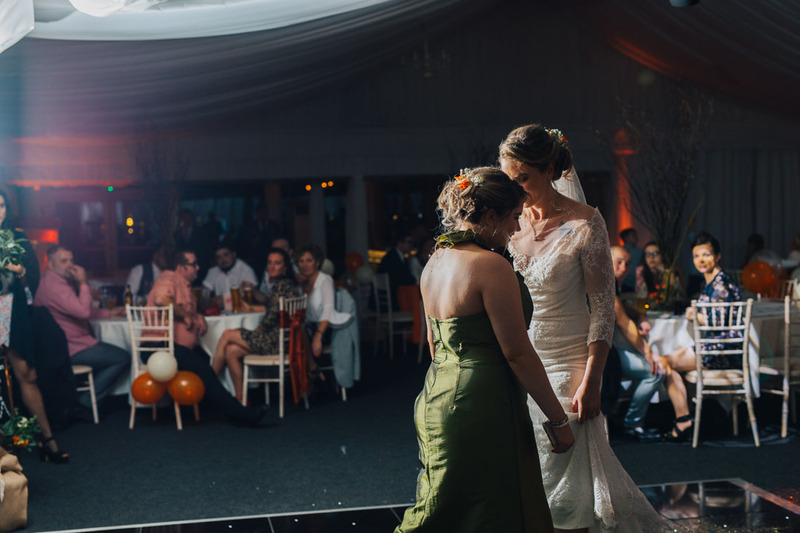 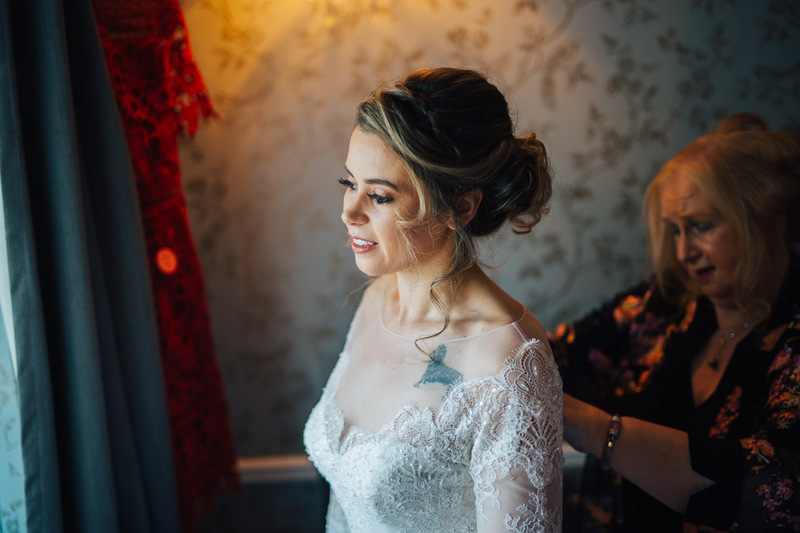 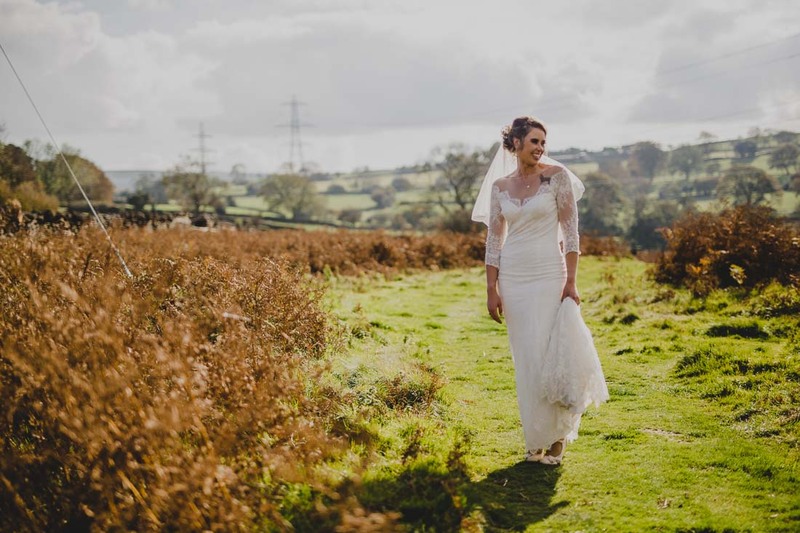 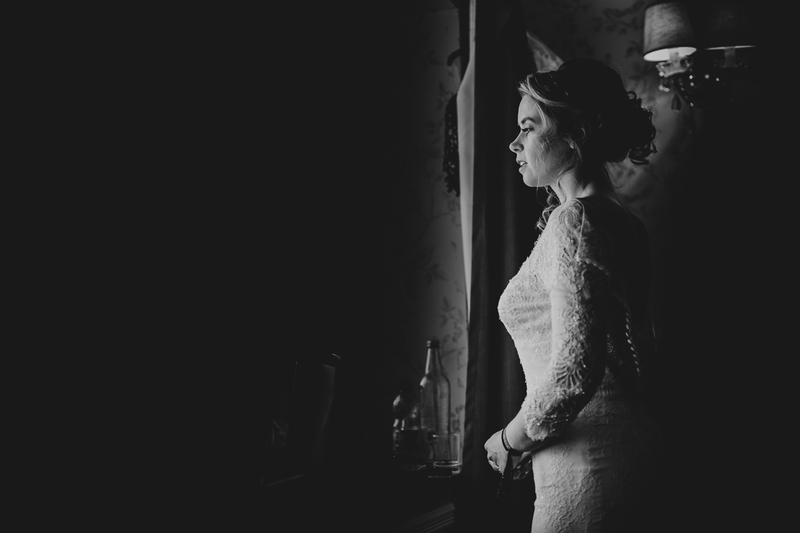 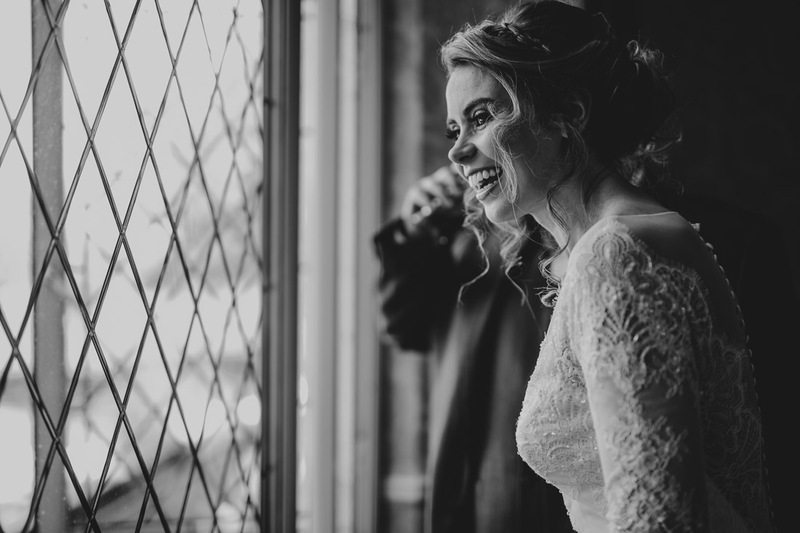 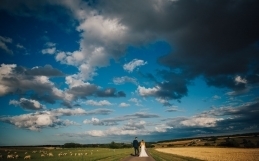 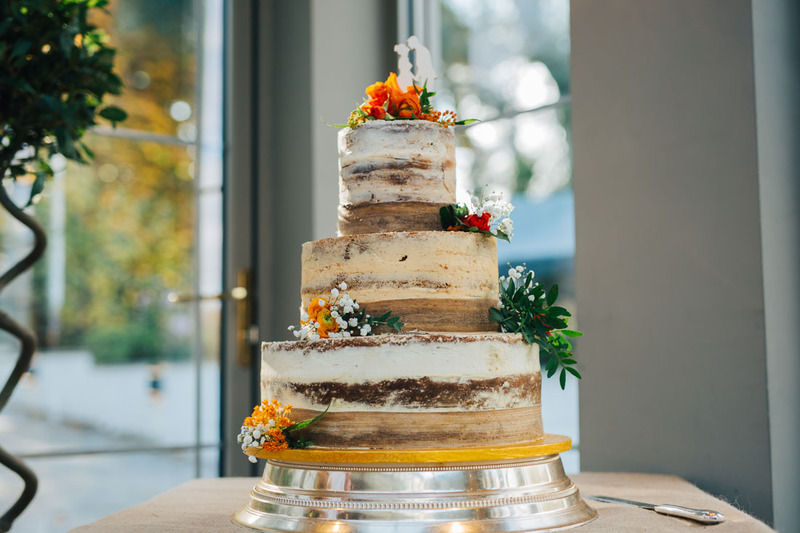 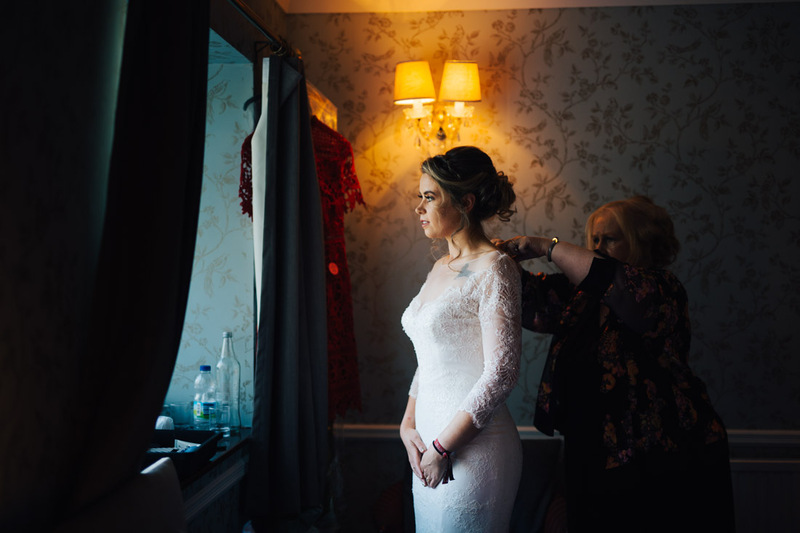 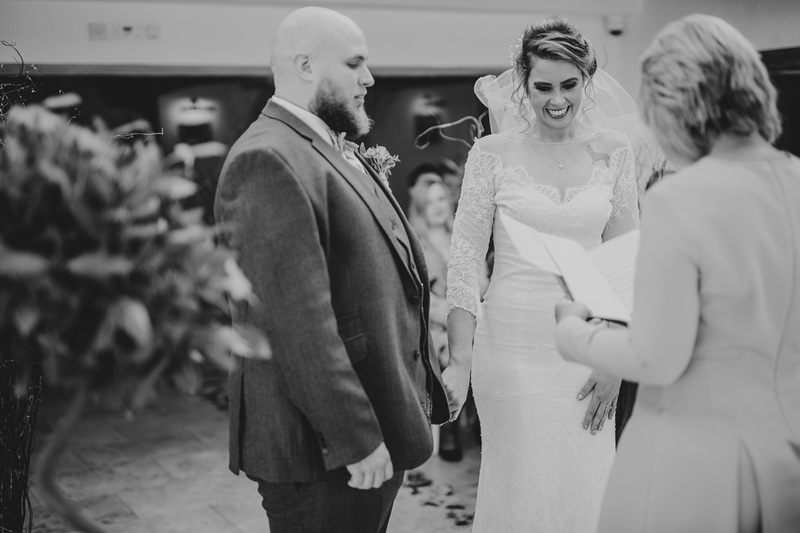 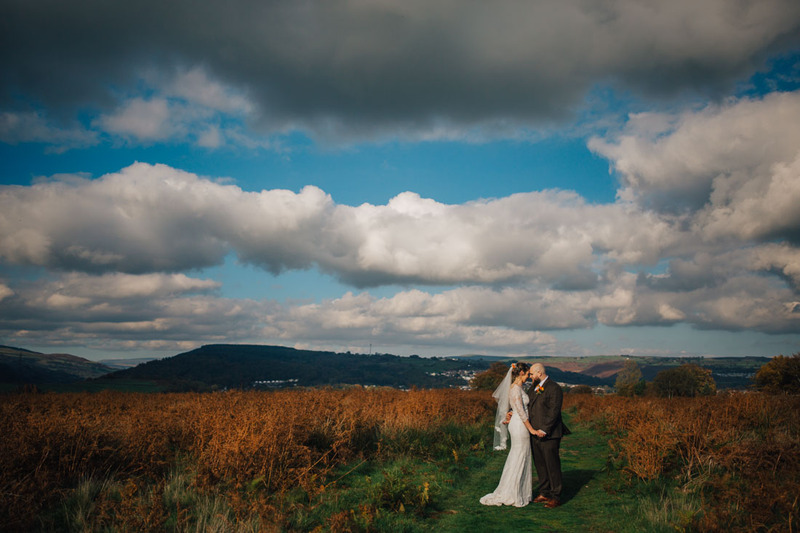 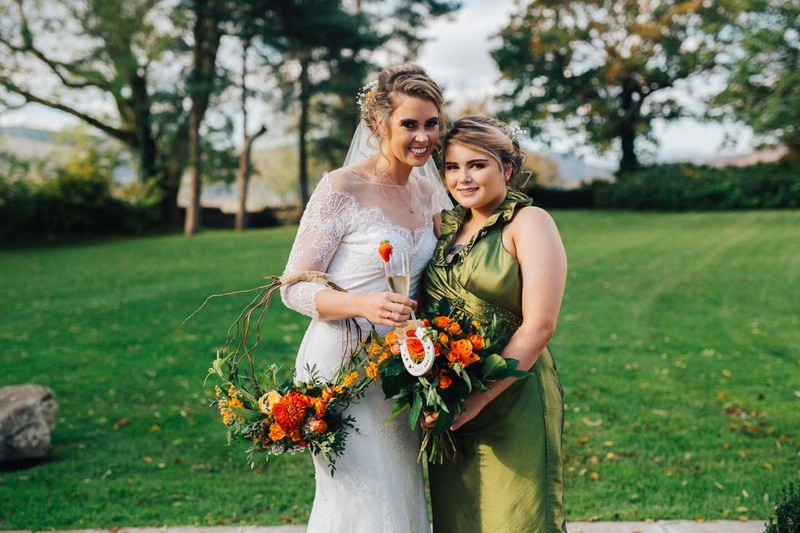 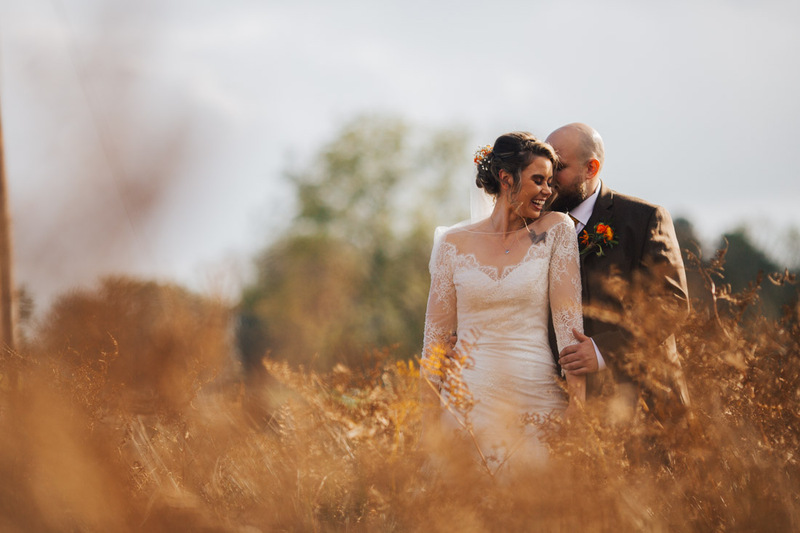 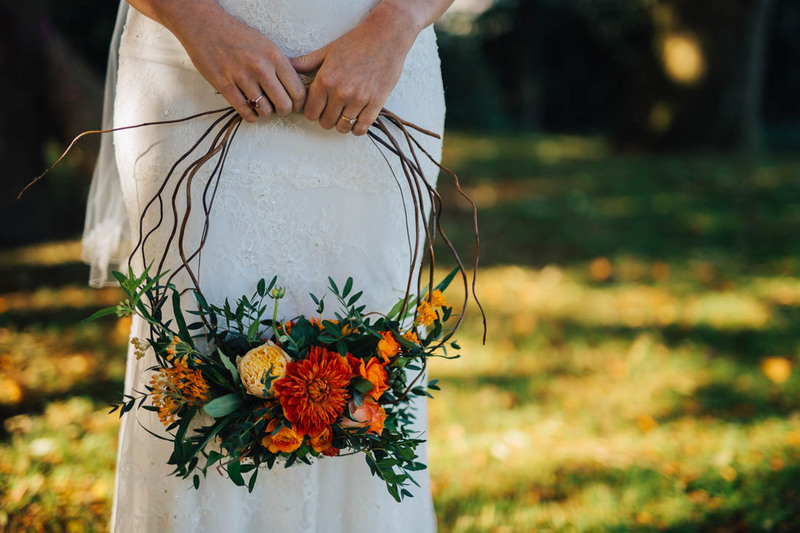 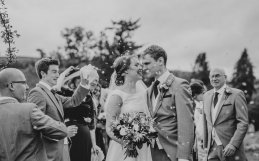 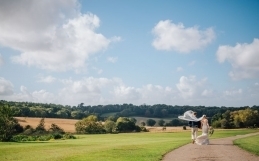 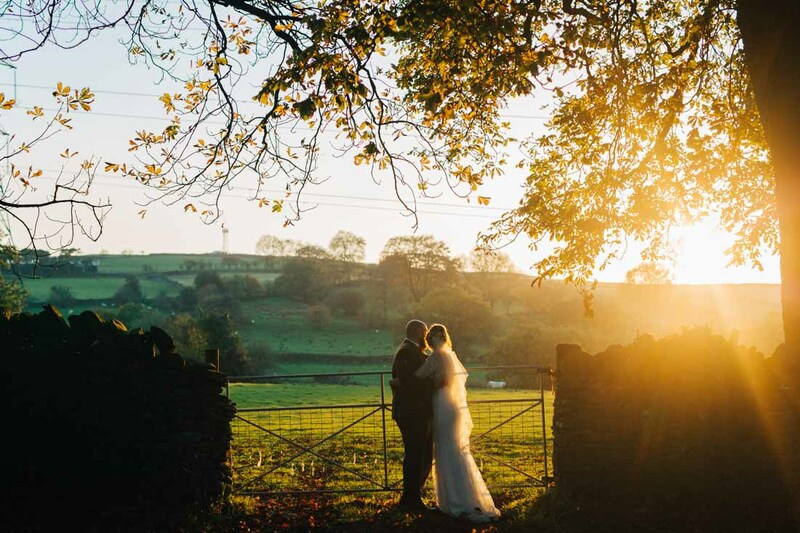 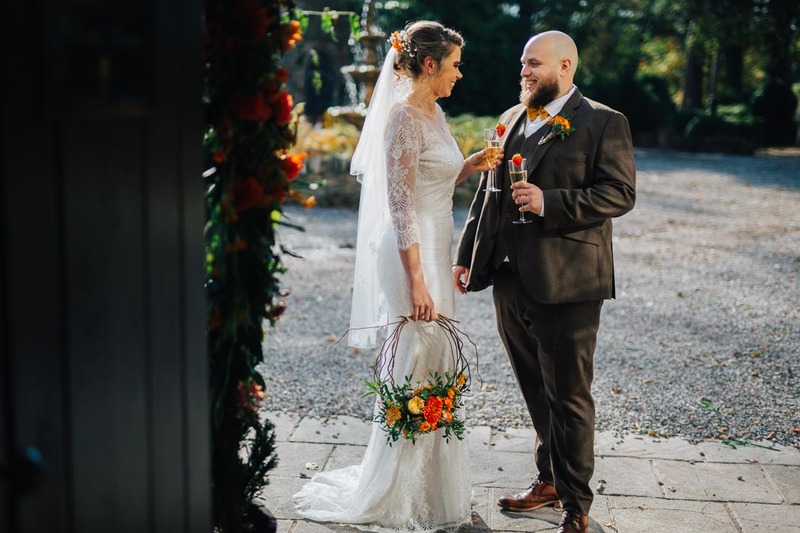 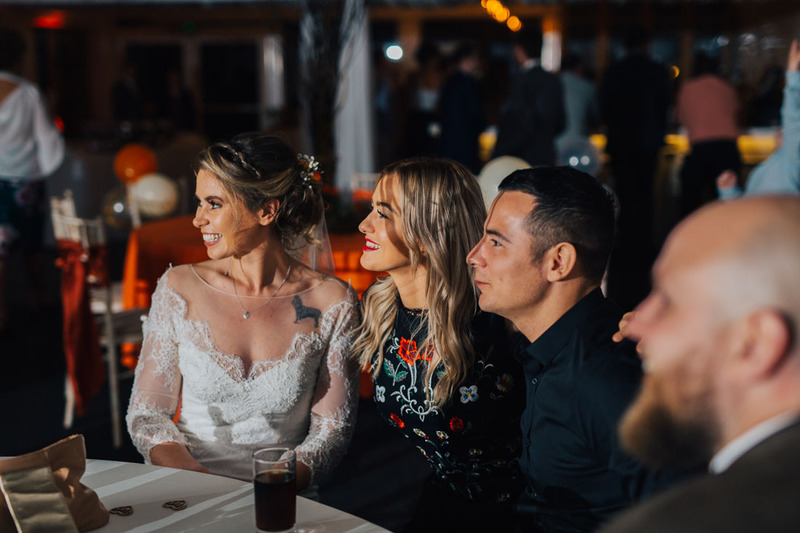 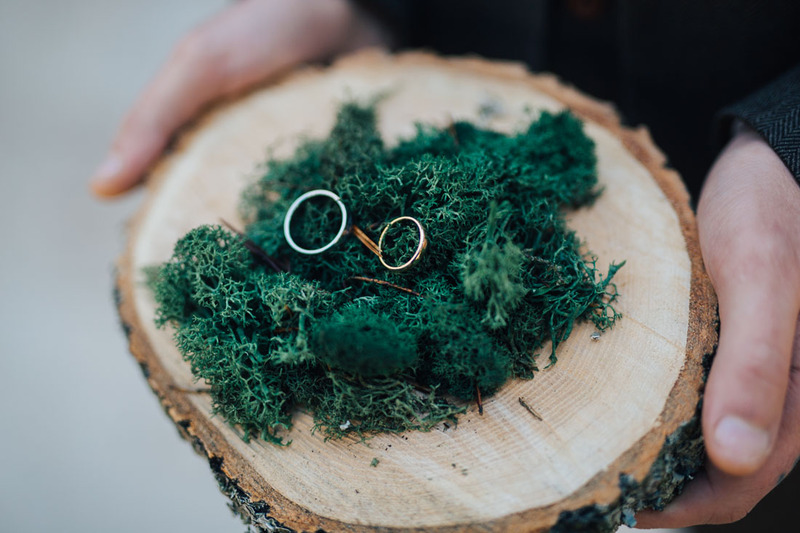 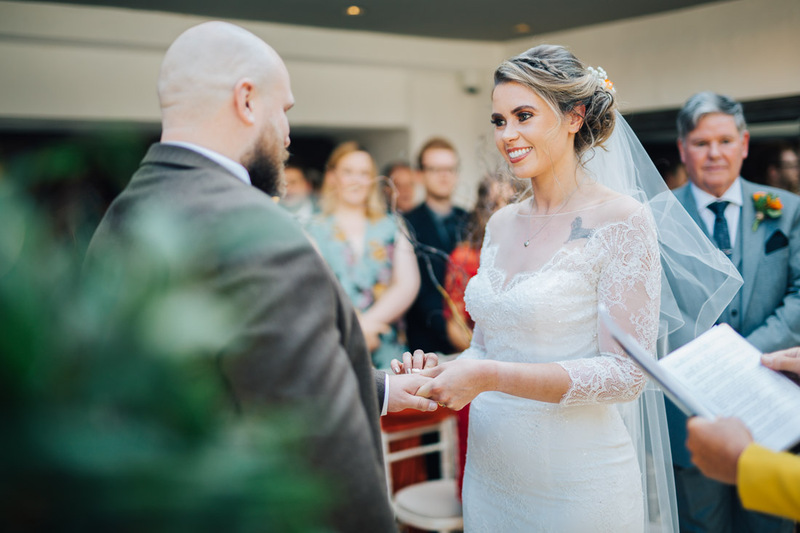 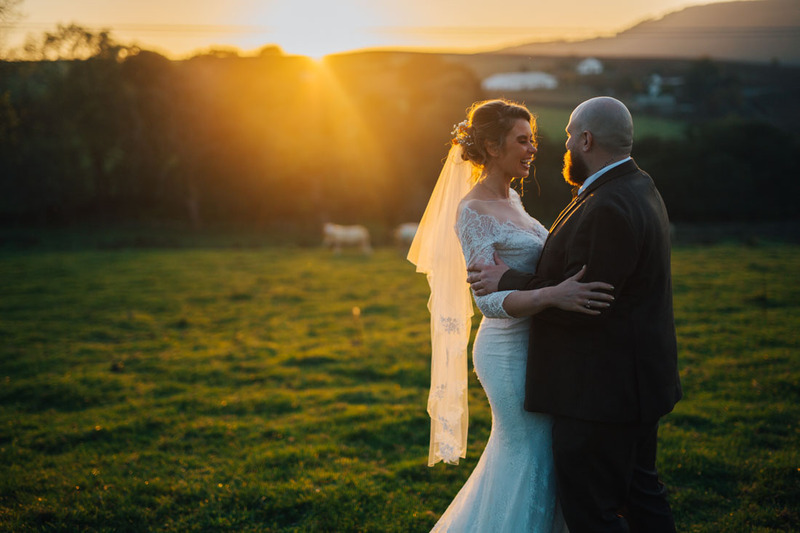 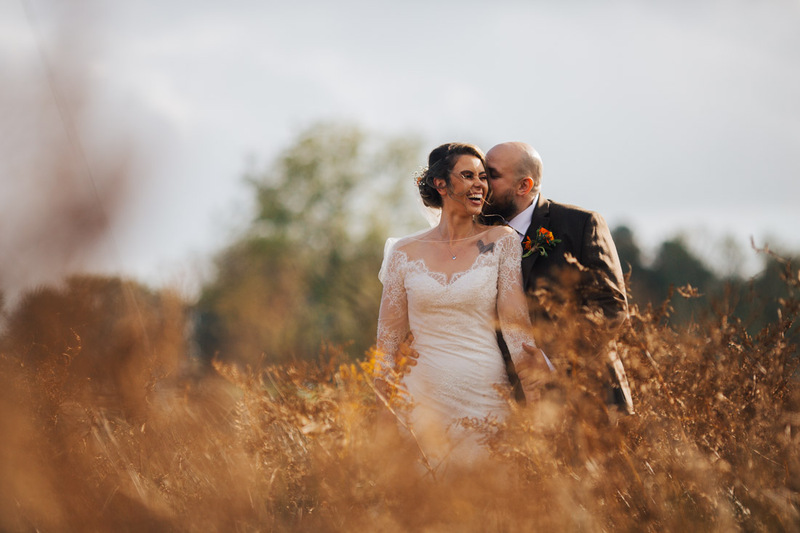 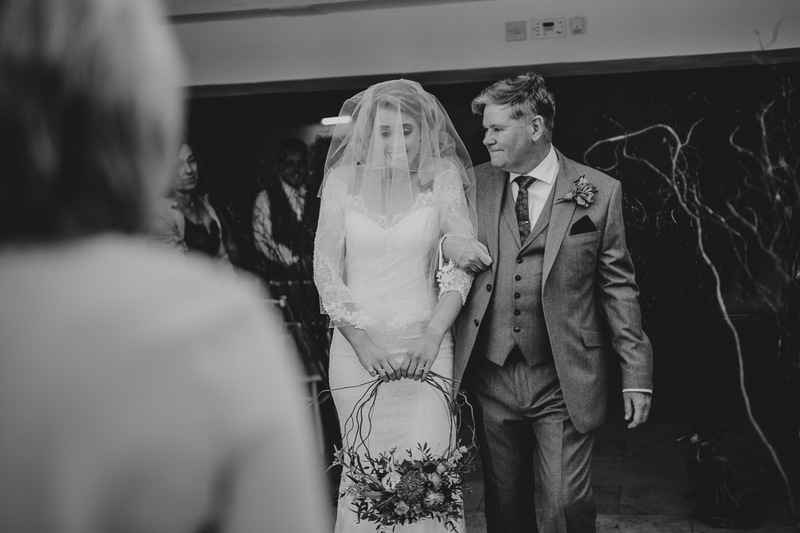 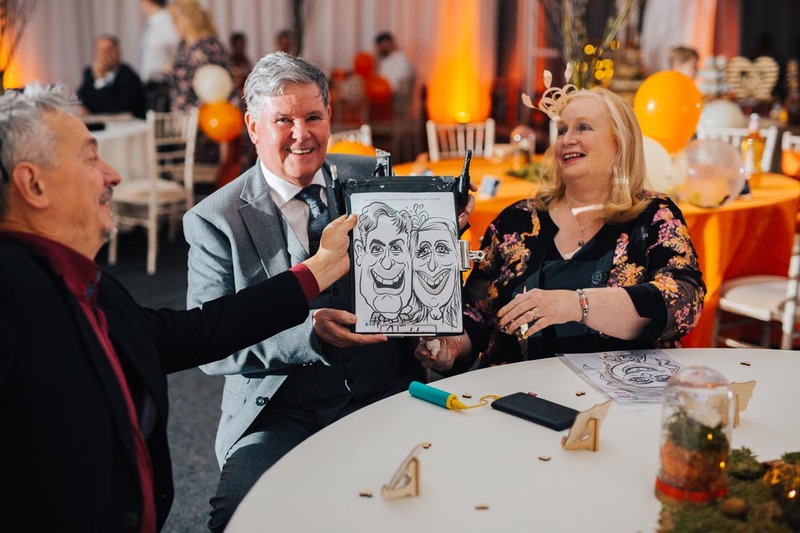 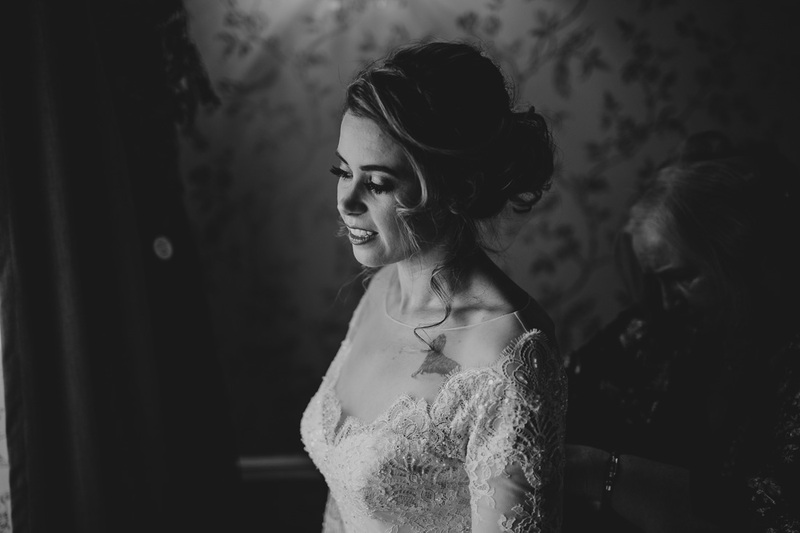 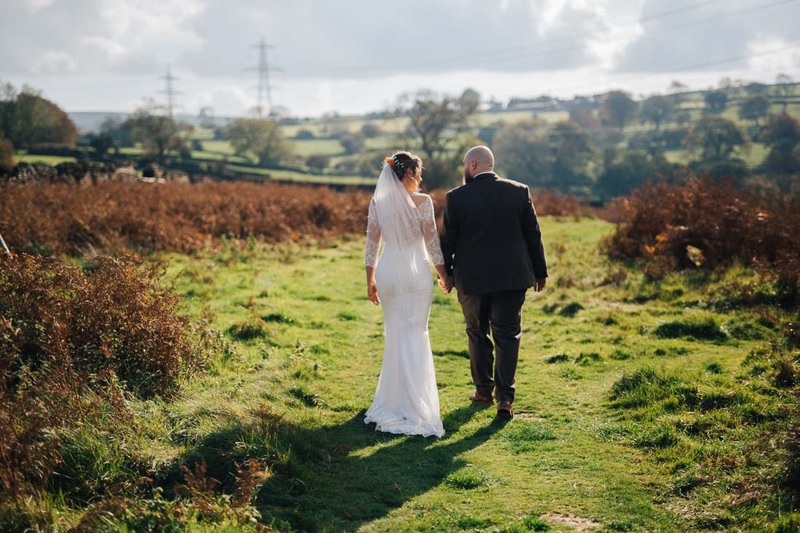 Chloe chose to see Darren and guests before the ceremony, so instead of a huge ‘reveal’ it was a little more subtle and a different approach. 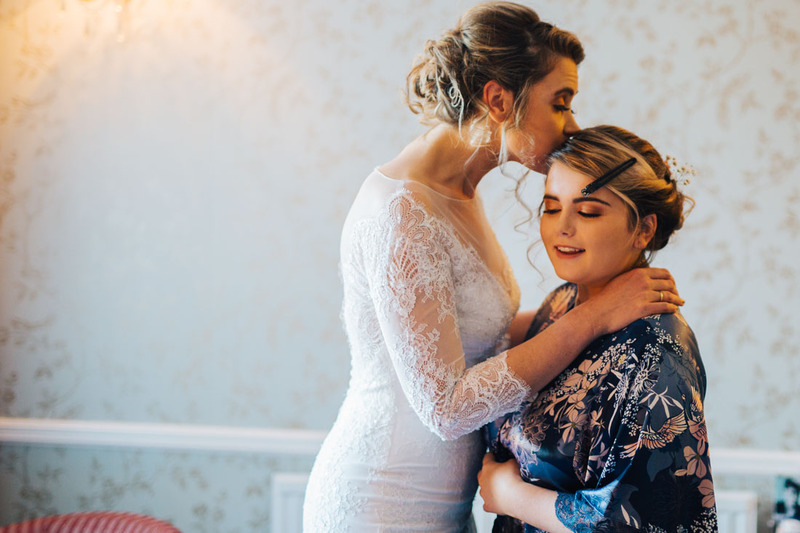 Chloe’s daughter made for a beautiful bridesmaid and it was an emotional ceremony, full of tears of joy as she watched her Mum get married. 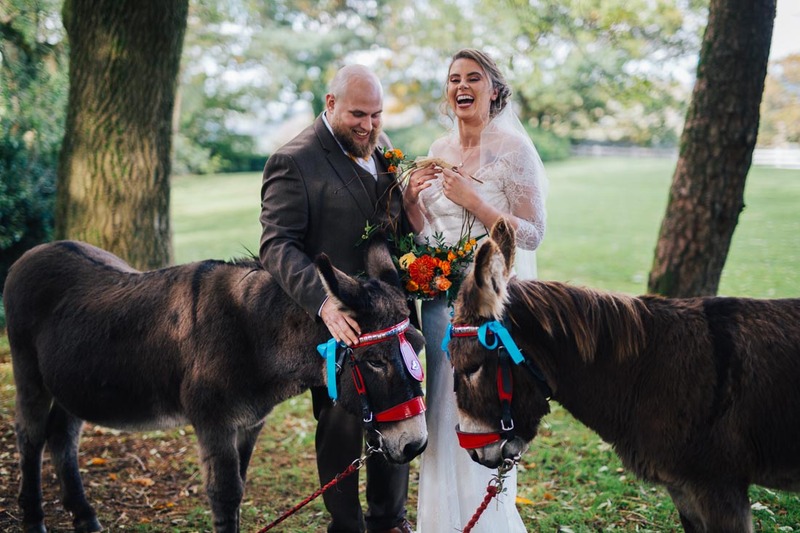 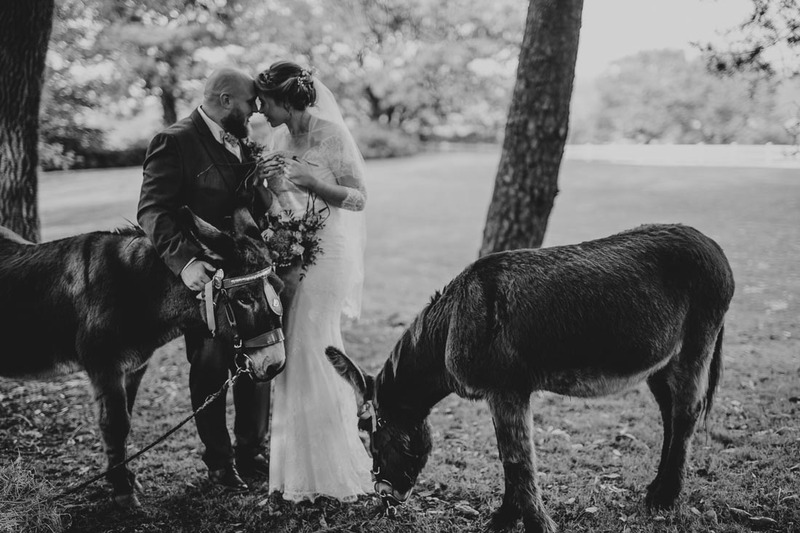 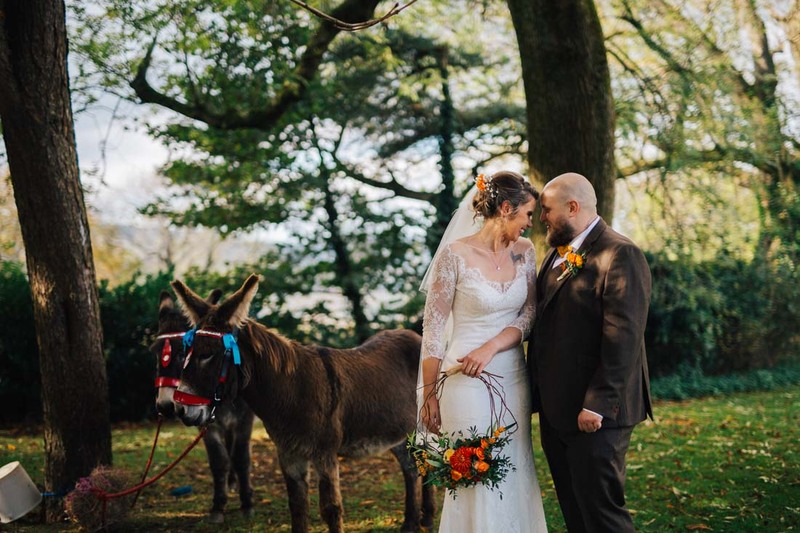 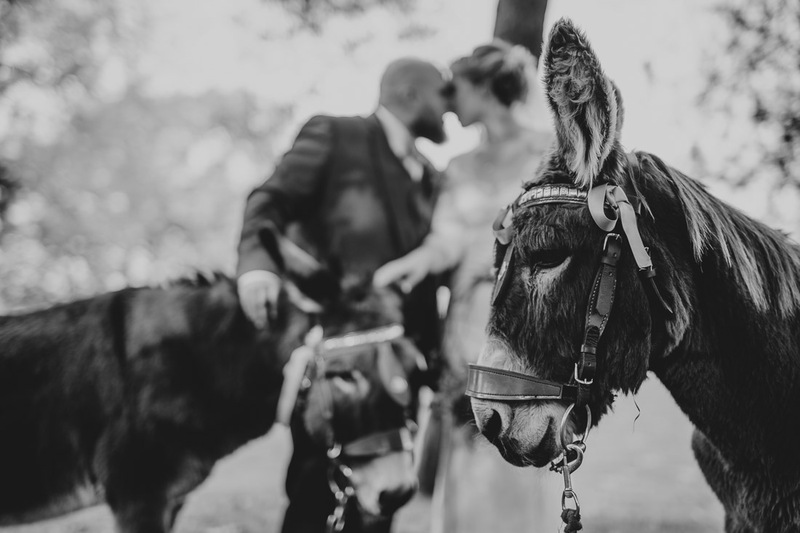 As a surprise for Darren, Chloe had arranged for donkeys to be present throughout the day. 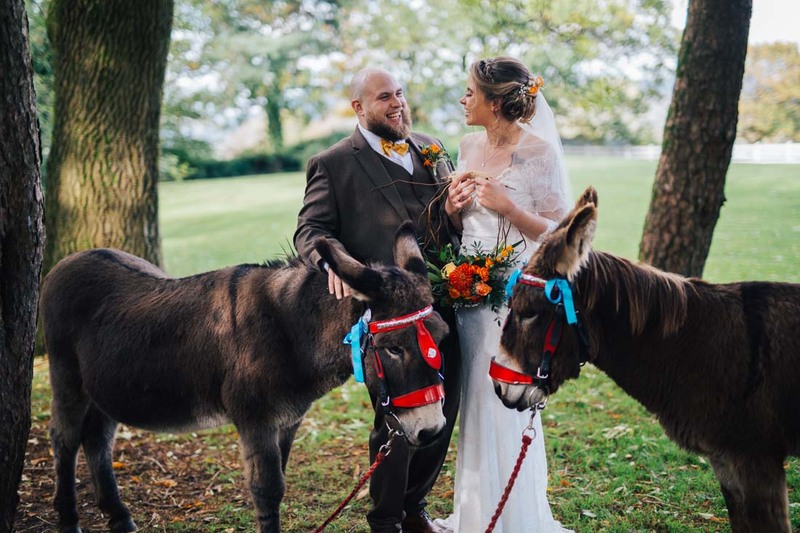 Darren is a huge animal lover and particular loves donkeys, and would love to live on a farm one day with a herd of them! 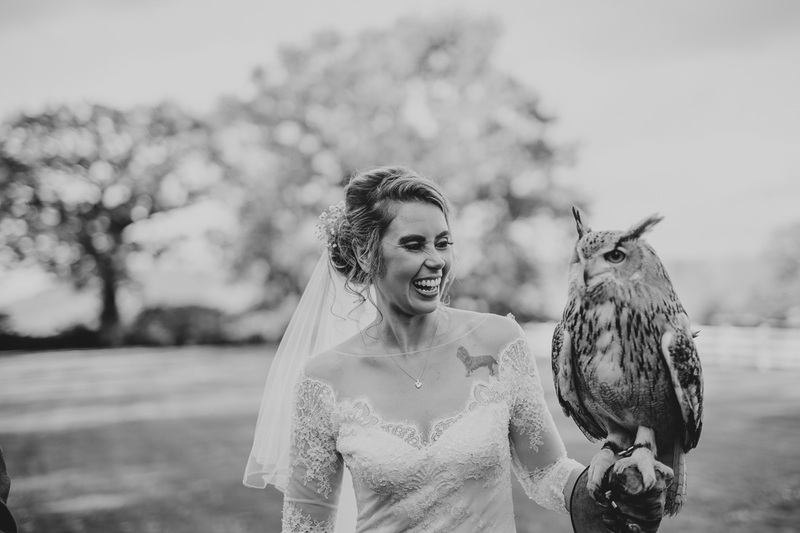 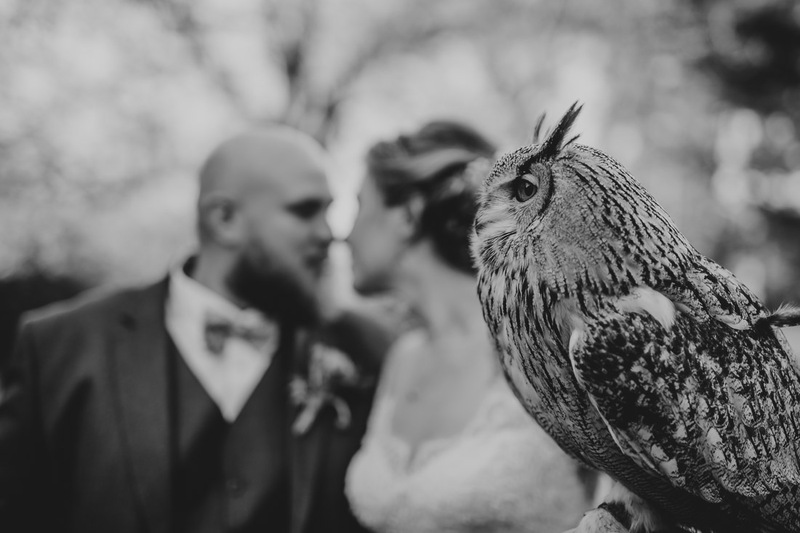 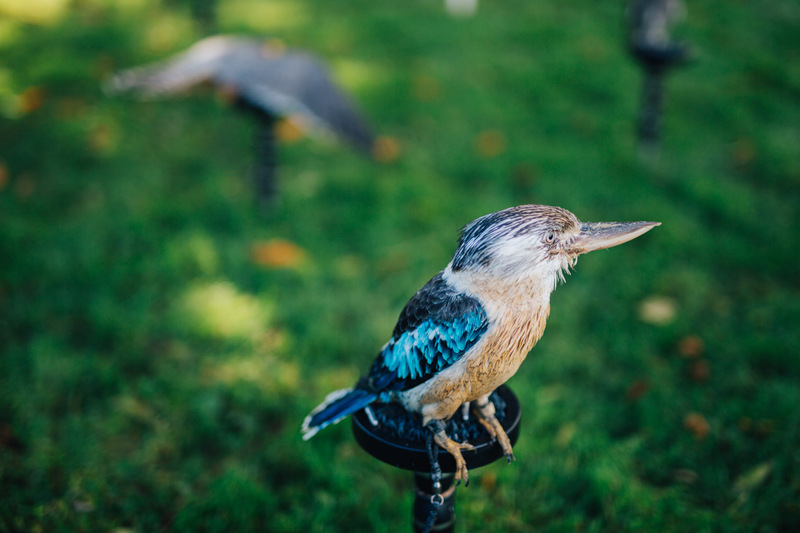 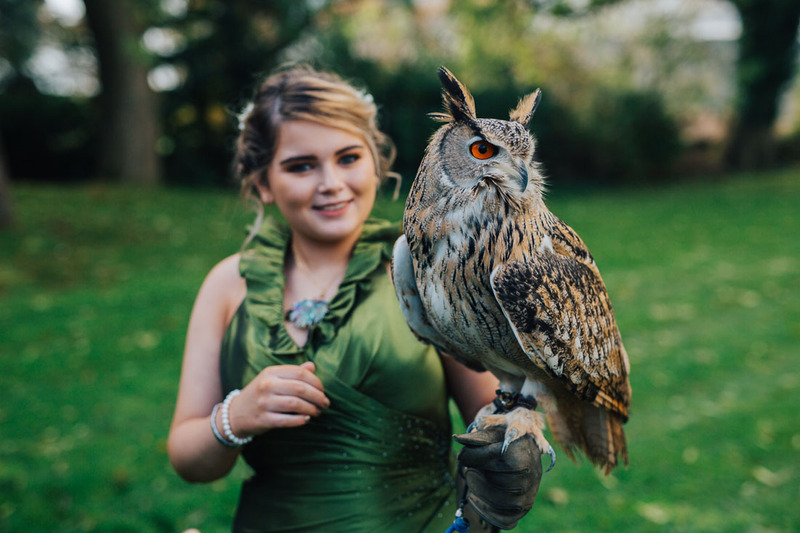 As well as donkeys, there were Birds of Prey for guests to admire and hold. 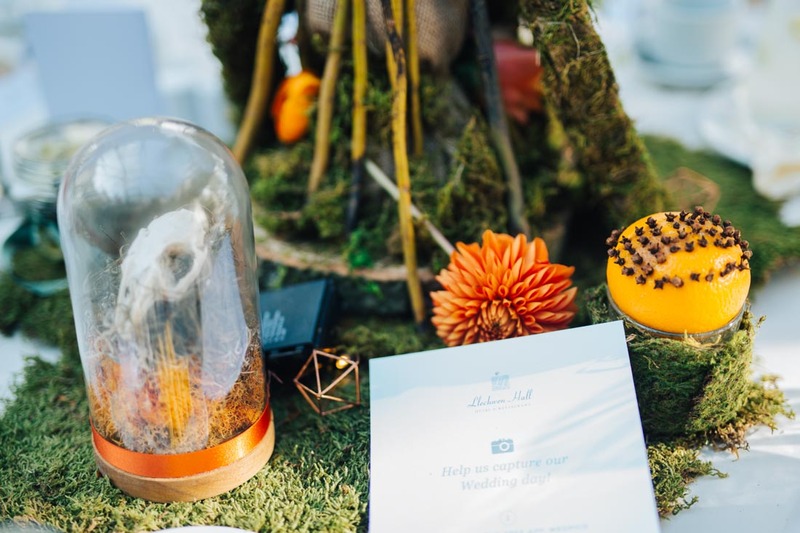 There were so many creative touches throughout the day, Chloe, an artist in her own right, had made a lot of the favours and even the cake! 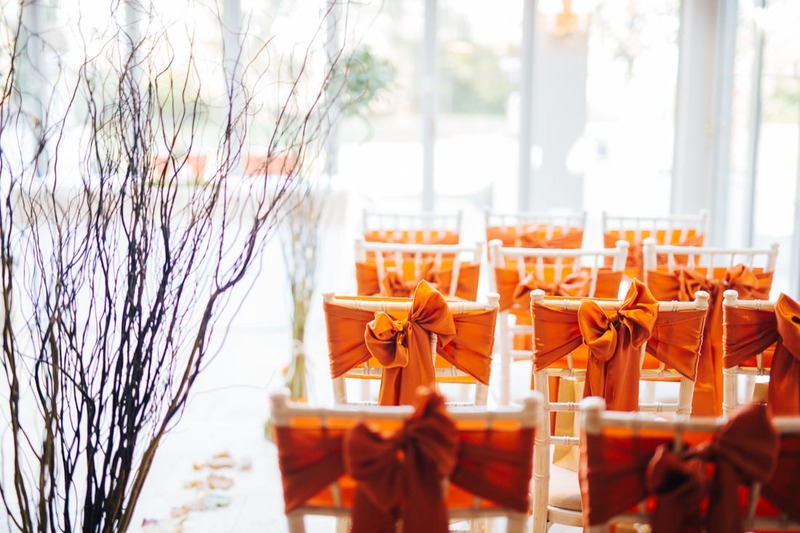 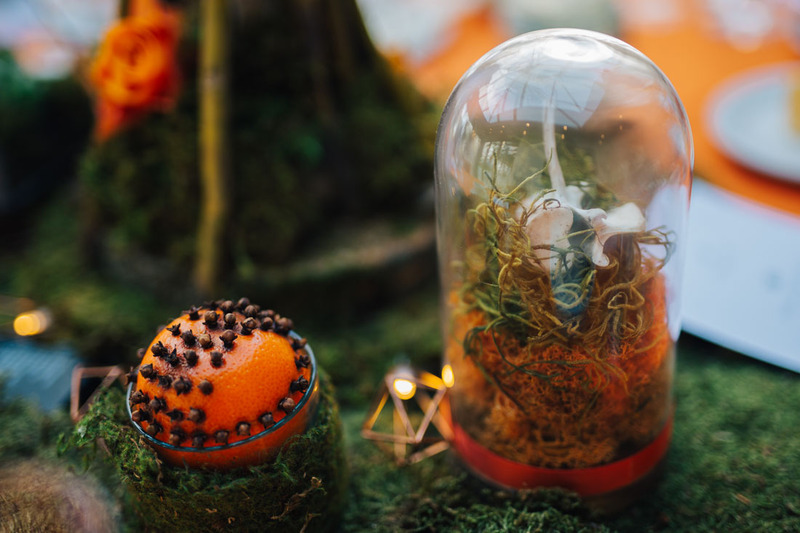 I loved the deep orange, foliage and skull theme throughout. 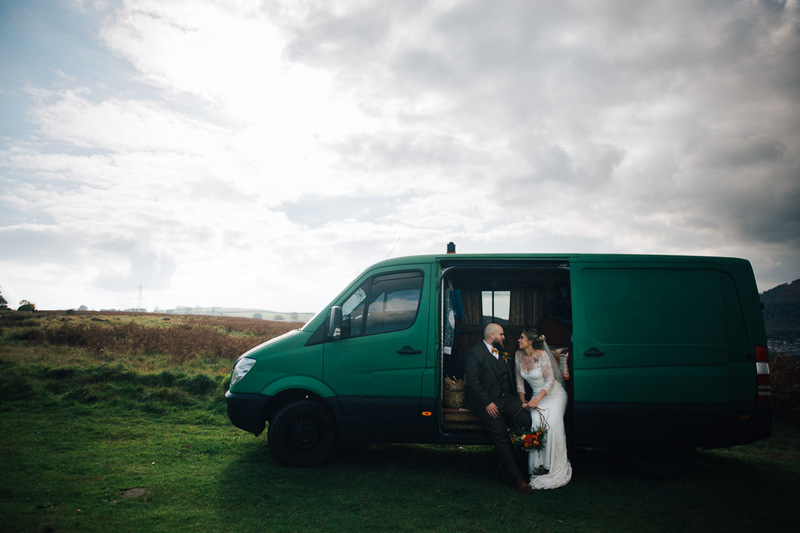 Their trusty van, which they had spent time doing up themselves was there on the day and we went for a little ride into the Welsh valleys for some photographs. 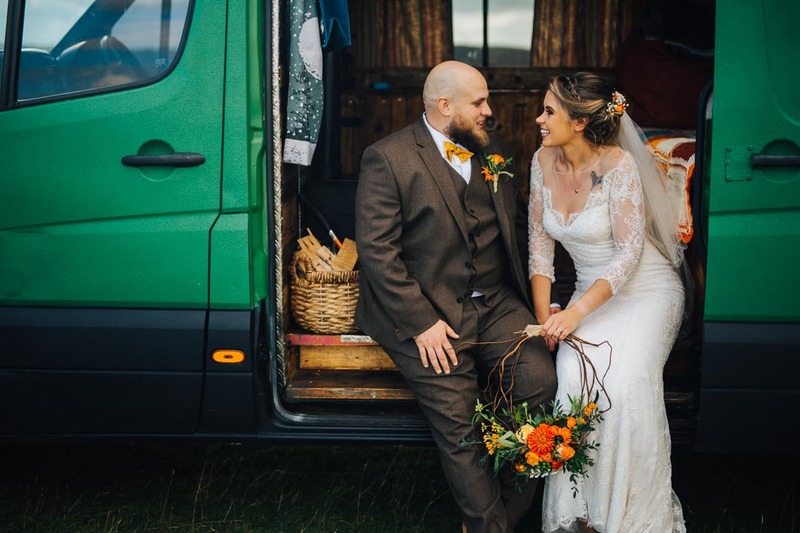 They planned to take the van to Scotland for their mini-moon. 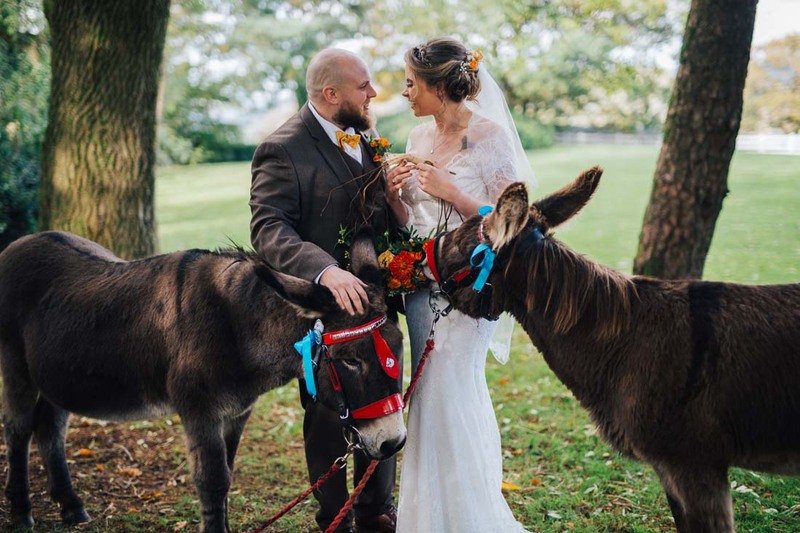 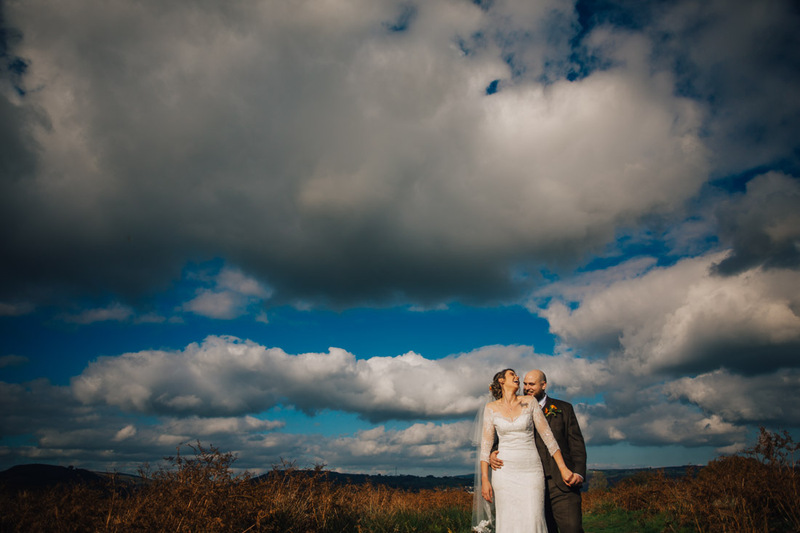 It was a beautiful and creative wedding, full of love.